matter from our bloodstreams and tissues. Often, our systems become overloaded with waste. The very air we breathe, and all of its pollutants, build up in our bodies. systems and cause toxic matter to build up in our bodies. 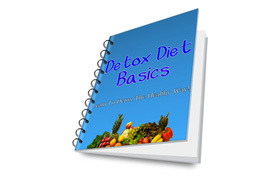 liver, so they should not be used during detox diets. Grapefruits should not be eaten during detox programs, but they are great for anytime else.